Pickup truck owners have a whole list of needs and wants before 0-60 MPH times come up. Still, a quick truck is better than a slow truck, particularly for a daily driver. Those pickup truck shoppers who do put strong acceleration on their list of wants will be happy to hear that Ford's new Ranger is going to be quick. Possibly the quickest truck in its class. The new 2019 Ranger will launch early this coming year. When it hits showrooms it will have a powerful 2.3-liter EcoBoost engine mated to a 10-speed automatic transmission. 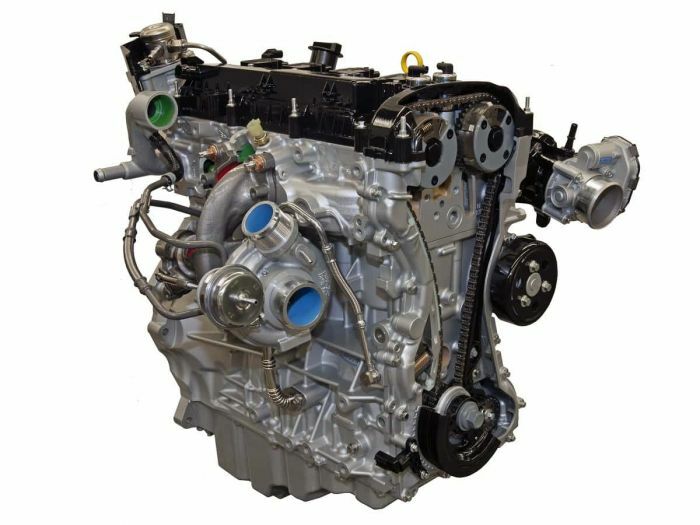 In the current Mustang, this engine produces 310 horsepower and 350 lb-ft of torque. Enough power and twist to propel that lightweight to 60 MPH in just 5.3 seconds according to Motor Trend. In the heavier Lincoln MKC, the 2.3 EcoBoost has enough guts to propel the vehicle to 60 MPH in 6.5 seconds. Based on these tests of the same engine and similar drivetrains to what will be in the Ranger, we expect 0- 60 MPH to land someplace between 6.0 seconds and 6.7 seconds. The Tacoma and Ridgeline are 7-second trucks to 60 MPH based on multiple tests, and the Chevy Colorado with its V6 gas engine can get close to 6 seconds. The Colorado will be the Ranger's competition in this regard. It looks to us like the Ranger and Colorado will be a close match. That is unless the Ranger pulls a rabbit out of its hat and has a lower curb weight than the Colorado. That looks unlikely given the detailed breakdown of the Ranger's parts. With a steel bed and frame, the Ranger isn't shedding any pounds the Colorado hasn't. Gearing will matter. A quick launch using all of the Ranger's torque will help. Still, power is ultimately what drives sprint times. We should know later this year how the Ranger matches up to its peers for speed when the first pre-production models hit the media fleets.